"His son, Yangaozhen [probably Vema Tahk (tu) or, possibly, his brother Sadaṣkaṇa], became king in his place. 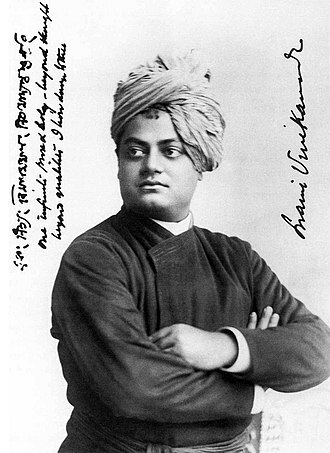 He defeated Tianzhu [North-western India] and installed Generals to supervise and lead it. The Yuezhi then became extremely rich. All the kingdoms call [their king] the Guishuang [Kushan] king, but the Han call them by their original name, Da Yuezhi." "Precious things from Da Qin [the Roman Empire] can be found there [in Tianzhu or Northwestern India], as well as fine cotton cloths, fine wool carpets, perfumes of all sorts, sugar candy, pepper, ginger, and black salt." 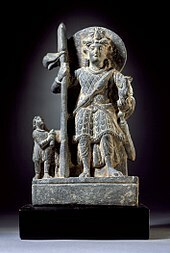 ^ a b "Afghanistan: Central Asian and Sassanian Rule, ca. 150 B.C.-700 A.D." United States: Library of Congress Country Studies. 1997. Retrieved 2012-08-16. ^ a b Liu, Xinrui (2001). Adas, Michael, ed. Agricultural and pastoral societies in ancient and classical history. Philadelphia: Temple University Press. 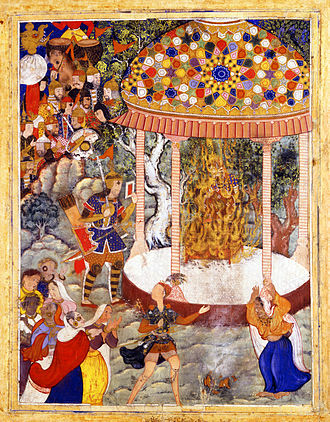 p. 156. ISBN 978-1-56639-832-9. 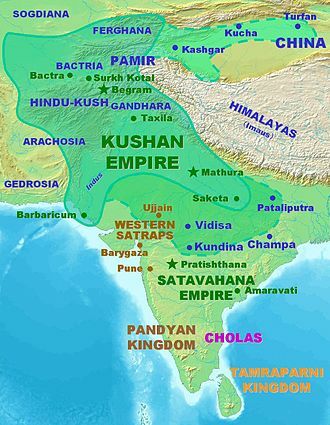 ^ "Kushan Empire (ca. 2nd century B.C.&#150;3rd century A.D.) | Thematic Essay | Heilbrunn Timeline of Art History | The Metropolitan Museum of Art". metmuseum.org. Retrieved 2015-10-23. ^ Loewe, Michael A.N. (1979). "Introduction". In Hulsewé, Anthony François Paulus. China in Central Asia: The Early Stage: 125 BC – AD 23; an Annotated Translation of Chapters 61 and 96 of the History of the Former Han Dynasty. Brill. pp. 1–70. ISBN 978-90-04-05884-2. pp. 23–24. ^ Sims-Williams, Nicholas. "Bactrian Documents from Ancient Afghanistan". Archived from the original on 10 June 2007. Retrieved 2007-05-24. Bopearachchi, Osmund (2007). "Some Observations on the Chronology of the Early Kushans". In Gyselen, Rika. 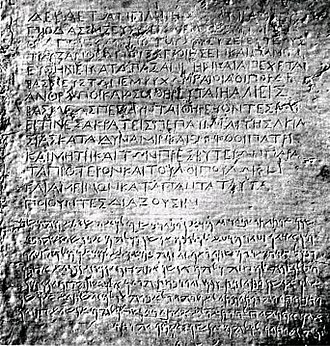 Des Indo-Grecs aux Sassanides: données pour l'histoire et la géographie historique. Vol. XVII. Group pour l'Etude de la Civilisation du Moyen-Orient. Enoki, K.; Koshelenko, G. A.; Haidary, Z. (1 January 1994). "The Yu'eh-chih and their migrations". In Harmatta, János. History of Civilizations of Central Asia: The Development of Sedentary and Nomadic Civilizations, 700 B. C. to A. D. 250. UNESCO. pp. 171–191. ISBN 9231028464. Retrieved 29 May 2015. Loewe, Michael; Shaughnessy, Edward L. (1999). The Cambridge History of Ancient China: From the Origins of Civilization to 221 BC. Cambridge University Press. ISBN 0-5214-7030-7. Retrieved 2013-11-01. West, Barbara A. (January 1, 2009). Encyclopedia of the Peoples of Asia and Oceania. Infobase Publishing. ISBN 1438119135. Retrieved 2015-05-29. 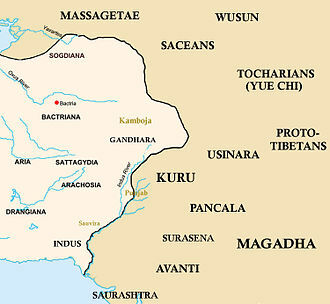 The Tocharians or Tokharians were Indo-European peoples who inhabited the medieval oasis city-states on the northern edge of the Tarim Basin in ancient times. 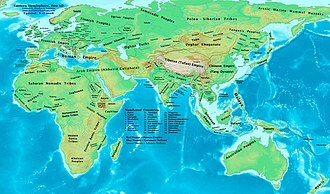 Their Tocharian languages, a branch of the Indo-European family, are known from manuscripts from the 6th to 8th centuries AD and these people were called Tocharian by late-19th century scholars who identified them with the Tókharoi described by ancient Greek sources as inhabiting Bactria. Although this identification is now considered mistaken, the name has become customary. Agricultural communities first appeared in the oases of the northern Tarim around 2000 BC, some scholars have linked them with the Afanasevo culture of eastern Siberia. By the 1st century BC, these settlements had developed into city-states, overshadowed by nomadic peoples to the north and these cities, the largest of which was Kucha, served as waystations along the branch of the Silk Road that ran along the northern edge of the Taklamakan desert. 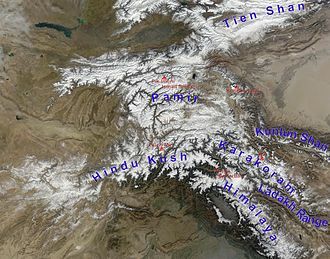 From the 9th century, the people of the oases intermixed with the Uyghurs of the Kingdom of Qocho, around the beginning of the 20th century, archaeologists recovered from oases in the Tarim Basin a number of manuscripts written in two closely related but previously unknown Indo-European languages. 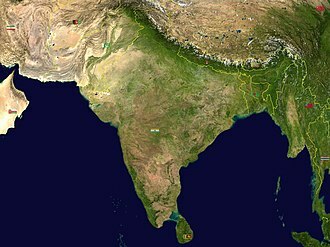 This term was derived from Indo-Iranian, the source of the term Tokharistan usually referring to 1st millennium Bactria. The Tókharoi are often identified by scholars with the Yuezhi of Chinese historical accounts. 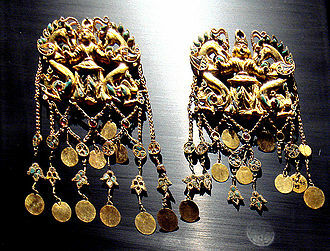 Nevertheless, Tocharian remains the term for the languages of the Tarim Basin manuscripts. Adams, the Tocharians may have called themselves ākñi, meaning borderers, the Tocharian languages are known from around 7600 documents dating from about 400 to 1200 AD, found at 30 sites in the northeast Tarim area. The manuscripts are written in two distinct, but closely related, Indo-European languages, conventionally known as Tocharian A and B, Tocharian A was found in the northeastern oases of Karasahr and Turpan. Some 500 manuscripts have been studied in detail, mostly coming from Buddhist monasteries, many authors take this to imply that Tocharian A had become a purely literary and liturgical language by the time of the manuscripts, but it may be that the surviving documents are unrepresentative. Xinjiang, officially the Xinjiang Uyghur Autonomous Region, is a provincial-level autonomous region of China in the northwest of the country. It is the largest Chinese administrative division and the 8th largest country subdivision in the world and it contains the disputed territory of Aksai Chin, which is administered by China. Xinjiang borders the countries of Mongolia, Kazakhstan, Tajikistan, Pakistan, the rugged Karakoram and Tian Shan mountain ranges occupy much of Xinjiangs borders, as well as its western and southern regions. Xinjiang borders Tibet Autonomous Region and the provinces of Gansu, the most well-known route of the historical Silk Road ran through the territory from the east to its northwestern border. In recent decades, abundant oil and mineral reserves have been found in Xinjiang and it is home to a number of ethnic groups, including the Han, Tajiks, Uyghur, Kyrgyz and Russians. More than a dozen autonomous prefectures and counties for minorities are in Xinjiang, older English-language reference works often refer to the area as Chinese Turkestan. Xinjiang is divided into the Dzungarian Basin in the north and the Tarim Basin in the south by a mountain range, only about 4. 3% of Xinjiangs land area is fit for human habitation. 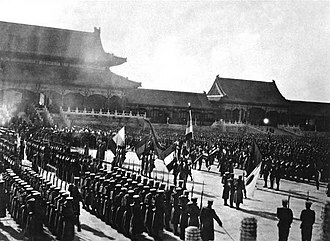 With a documented history of at least 2,500 years, the territory came under the rule of the Qing dynasty in the 18th century, which was replaced by the Republic of China government. 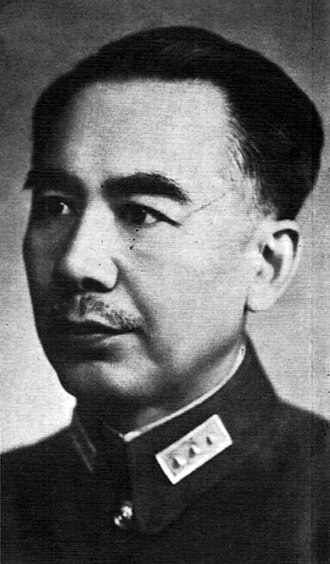 Since 1949, it has been part of the Peoples Republic of China following the Chinese Civil War, in 1954, Xinjiang Bingtuan was set up to strengthen the border defense against the Soviet Union, and promote the local economy. In 1955, Xinjiang was turned into a region from a province. In the last decades, there have been tensions regarding Xinjiangs political status, amnesty International said that activists in Xinjiang have been arrested and tortured. Under the Han dynasty, which drove the Xiongnu empire out of the region in 60 BC, Xinjiang was previously known as Xiyu or Qurighar and this was in an effort to secure the profitable routes of the Silk Road. Gansu is a province of the Peoples Republic of China, located in the northwest of the country. It lies between the Tibetan and Loess plateaus, and borders Mongolia, Inner Mongolia, and Ningxia to the north and Qinghai to the west, Sichuan to the south, the Yellow River passes through the southern part of the province. Gansu has a population of 26 million and covers an area of 425,800 square kilometres, the capital is Lanzhou, located in the southeast part of the province. Gansu is a compound of the names of Ganzhou and Suzhou, Gansu is abbreviated as 甘 or 陇, and is known as Longxi or Longyou, in reference to the Long Mountain east of Gansu. Gansu is a name first used during the Song dynasty of two Sui and Tang dynasty prefectures, Gan and Su. In prehistoric times, Gansu was host to Neolithic cultures, the Dadiwan culture, from where archaeologically significant artifacts have been excavated, flourished in the eastern end of Gansu from about 6000 BC to about 3000 BC. The Majiayao culture and part of the Qijia culture took root in Gansu from 3100 BC to 2700 BC and 2400 BC to 1900 BC respectively, the Yuezhi originally lived in the very western part of Gansu until they were forced to emigrate by the Xiongnu around 177 BCE. The State of Qin, to become the state of the Chinese empire, grew out from the southeastern part of Gansu. The Qin name is believed to have originated, in part, Qin tombs and artifacts have been excavated from Fangmatan near Tianshui, including one 2200-year-old map of Guixian County. 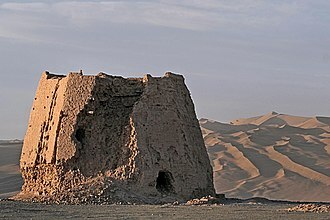 In imperial times, Gansu was an important strategic outpost and communications link for the Chinese empire, the Han dynasty extended the Great Wall across this corridor, building the strategic Yumenguan and Yangguan fort towns along it. Remains of the wall and the towns can be found there, the Ming dynasty built the Jiayuguan outpost in Gansu. 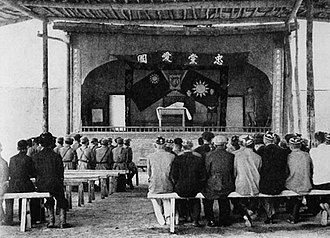 By the Qingshui treaty, concluded in 823 between the Tibetan Empire and the Tang dynasty, China lost a part of Gansu province for a significant period. 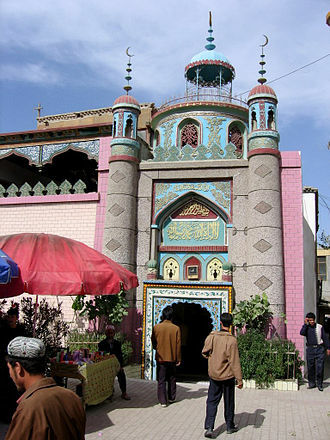 After the fall of the Uyghur Empire, an Uyghur state was established in parts of Gansu that lasted from 848 to 1036 AD, during that time, many of Gansus residents were converted to Islam. Along the Silk Road, Gansu was an important province. Peshawar is the capital of the Pakistani province of Khyber Pakhtunkhwa. It serves as the centre and economic hub for the Federally Administered Tribal Areas. Situated in a valley near the eastern end of the historic Khyber Pass, close to the border with Afghanistan. Making it the oldest city in Pakistan and one of the oldest in South Asia, Peshawar is the largest city of Khyber Pakhtunkhwa province. According to the last census, it is the ninth-largest city of Pakistan, the earliest settlement established in the area of Peshawar was called Puruṣapura, from which the current name Peshawar is derived. The Arab historian and geographer Al-Masudi noted that by the mid 10th century, after the Ghaznavid invasion, the citys name was again noted to be Parashāwar by Al-Biruni. The city became to be known as as Peshāwar by the era of Emperor Akbar, a name which is traditionally said to have been given by Akbar himself. The new name is said to have been based upon the Persian for frontier town, or more literally, forward city, though transcription errors and linguistic shifts may account for the citys new name. Akbars bibliographer, Abul-Fazl ibn Mubarak, lists the name by both its former name Parashāwar, transcribed in Persian as پَرَشاوَر, and Peshāwar. Peshawar was founded as the ancient city of Puruṣapura, on the Gandhara Plains in the broad Valley of Peshawar, the city likely first existed as a small village in the 5th century BCE, within the cultural sphere of eastern ancient Persia. 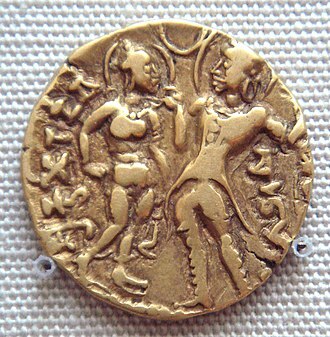 Puruṣapura was founded near the ancient Gandharan capital city of Pushkalavati, in the winter of 327-26 BCE, Alexander the Great subdued the Valley of Peshawar during his invasion of ancient India, as well as the nearby Swat and Buner valleys. Following Alexanders conquest, the Valley of Peshawar came under suzerainty of Seleucus I Nicator, a locally-made vase fragment that was found in Peshawar depicts a scene from Sophocles play Antigone. 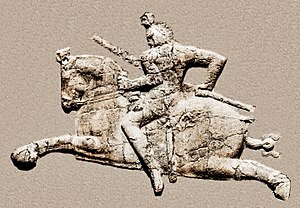 Following the Seleucid–Mauryan war, the region was ceded to the Mauryan Empire in 303 BCE, as Mauryan power declined, the Greco-Bactrian Kingdom based in modern Afghanistan declared its independence from the Seleucid Empire, and quickly seized Puruṣapura around 190 BCE. Buddhism entered Han China via the Silk Road, beginning in the 1st or 2nd century CE. 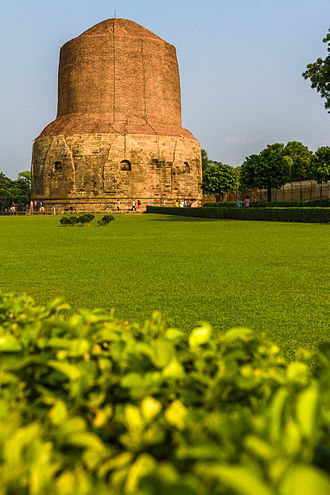 Direct contact between Central Asian and Chinese Buddhism continued throughout the 3rd to 7th century, well into Tang period, much of the land route connecting northern India with China at that time was ruled by the Buddhist Kushan Empire, and the Hephthalite Empire, see Gandhara. China was reached by the Indian form of tantra esoteric Buddhism in the 7th century, tibetan Buddhism was likewise established as a branch of Vajrayana, in the 8th century. But from about this time, the Silk Road transmission of Buddhism began to decline with the Muslim conquest of Transoxiana, Buddhism was brought to China via the Silk Road. Buddhist monks travelled with merchant caravans on the Silk Road, to preach their new religion, the powerful Greco-Bactrian Kingdoms in Afghanistan and the Indo-Greek Kingdoms practiced Greco-Buddhism and formed the first stop on the Silk Road, after China, for nearly 300 years. 100 BC, must remain open to question, the earliest direct references to Buddhism concern the 1st century AD, but they include hagiographical elements and are not necessarily reliable or accurate. 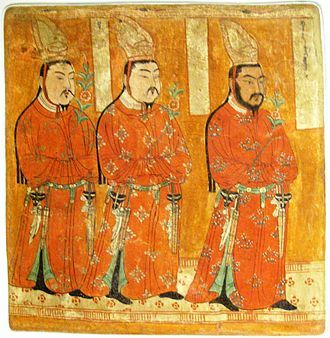 The first missionaries and translators of Buddhists scriptures into Chinese were either Parthian, Sogdian or Kuchean and they promoted both Hīnayāna and Mahāyāna scriptures. Thirty-seven of these early translators of Buddhist texts are known, according to the earliest reference to him, by Yang Xuanzhi, he was a monk of Central Asian origin whom Yang Xuanshi met around 520 at Loyang. Throughout Buddhist art, Bodhidharma is depicted as a rather ill-tempered and he is referred to as The Blue-Eyed Barbarian in Chinese Chan texts. Five monks from Gandhāra who traveled in 485 CE to the country of Fusang, an Shigao translated Buddhist texts on basic doctrines and abhidharma. 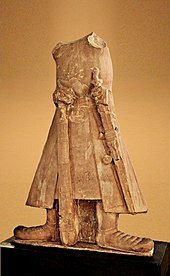 An Xuan, a Parthian layman who worked alongside An Shigao, Mahāyāna Buddhism was first widely propagated in China by the Kushan monk Lokakṣema, who came from the ancient Buddhist kingdom of Gandhāra. 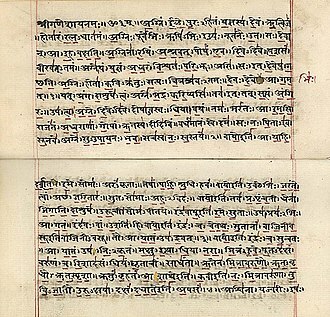 Lokakṣema translated important Mahāyāna sūtras such as the Aṣṭasāhasrikā Prajñāpāramitā Sūtra, as well as rare, early Mahāyāna sūtras on topics such as samādhi and these translations from Lokakṣema continue to give insight into the early period of Mahāyāna Buddhism. Asia in 800 AD, showing the Uyghur Khanate and its neighbors.